The Centre has said the exact reasons for the change in the turbidity of the Siang river is not yet known. It may possibly be due to landslide, earthquake, or any other activity in the upstream region across the international border with China. Replying to a Lok Sabha question on Friday, Minister of State for Water Resources, Arjun Ram Meghwal, said that during the recent visit of the Foreign Minister of China to India, matters concerning trans-border rivers, including the recent reports about the unusual change in the water quality of the Siang river, were raised with the Chinese side. “The change in the colour of the Siang’s water was noticed on 10 November at the Tuting Hydrological Observation site by the Central Water Commission (CWC) in Arunachal Pradesh. The cause of the change in colour of the water appears to be due to excess silt. 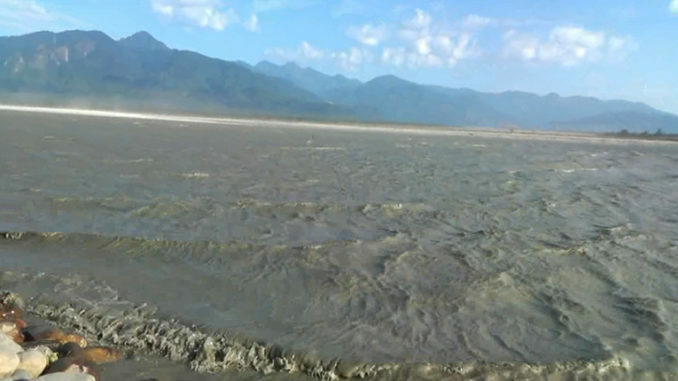 Analysis of the water samples of the Siang by the Tuting and Pasighat CWC shows that all observed water quality parameters are within permissible limits as per BIS 10500:2012 drinking water standard, except turbidity,” Meghwal said. In addition, the results of water quality tests conducted by the state’s PHE and WS department on samples from Pasighat shows turbidity and iron in excess of permissible limits. Besides this, physico-chemical analysis of the water samples collected from the Siang across Pasighat and Jonai, conducted by the NERIWALM, shows higher concentration of aluminium and iron beyond acceptable and permissible limit for drinking, the Minister said. “Change in the water level was also observed by the CWC at Tuting and it was found that there was a decrease in the flow of water at Tuting from 18 to 19 November (about 1.96 metres in level and approximately 50 per cent drop in the water flow). Thereafter, the flow got restored to the previous level,” Meghwal added.